Zoey is a year old and very affectionate. 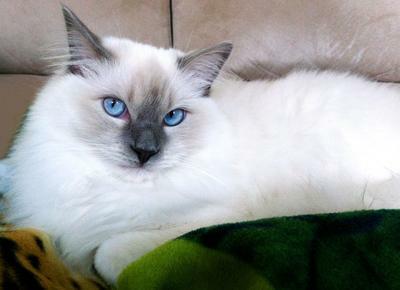 This Ragdoll breed was the perfect choice for my family. Editor's note: Thanks, Sarah! Zoey is quite the looker! Such amazing blue eyes! I'd love to have a Ragdoll around the house.